Looking for a meaningful gift for the graduating Doctor in your life? Why not give him or her this beautiful solid wood crafted and engraved in the USA plaque? 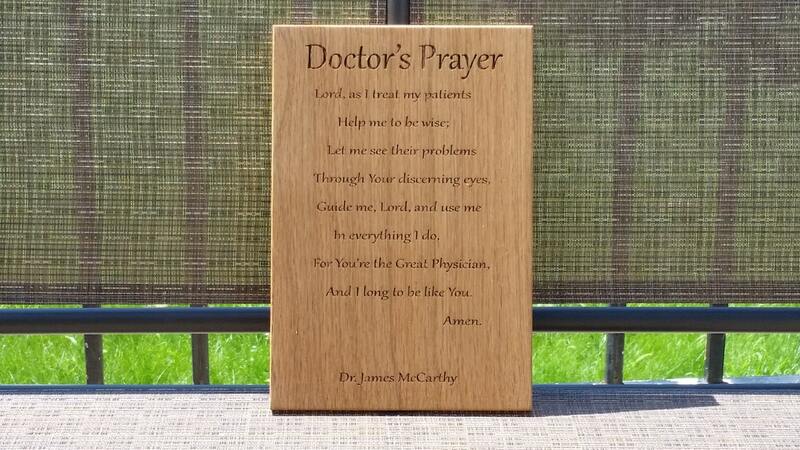 This beautiful prayer is laser engraved on a plaque made of beautiful solid wood with a key hole in the back for hanging options. Each plaque can be personalized at the bottom with the Doctor's name. Want a different prayer engraved? Contact us.